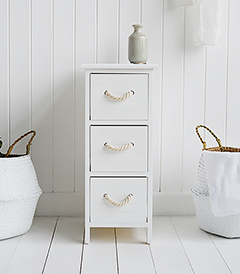 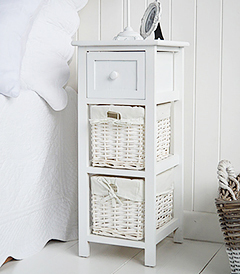 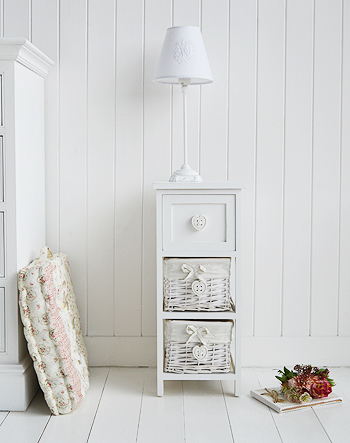 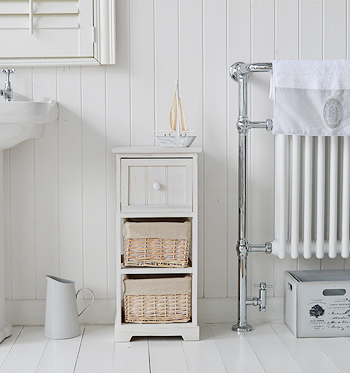 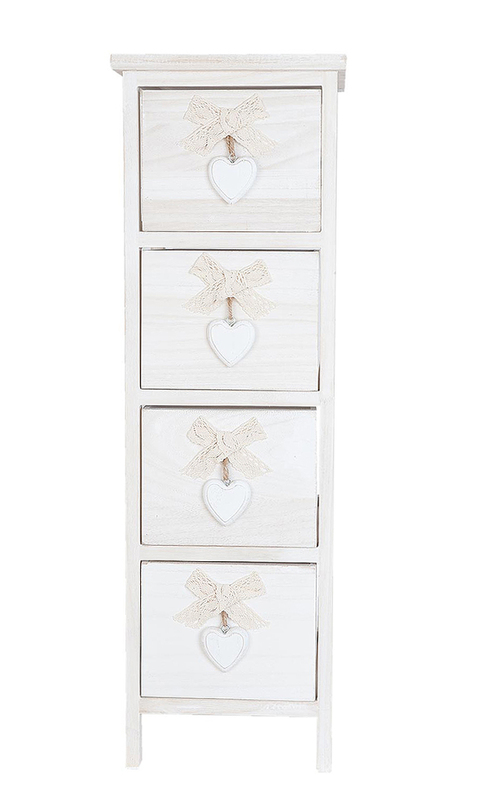 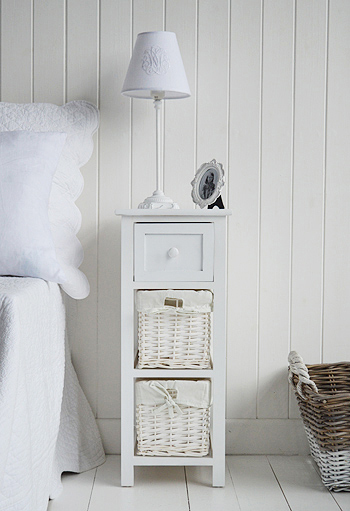 A narrow white storage unit from the Dorset Range with four drawers. 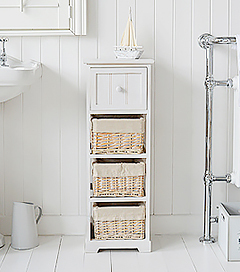 Ideal for when space is tight, The Dorset range offers storage for narrow spaces, with either three or four drawers. 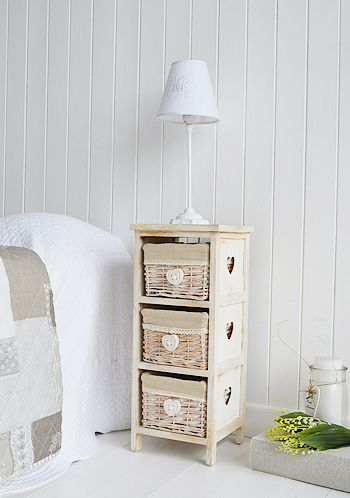 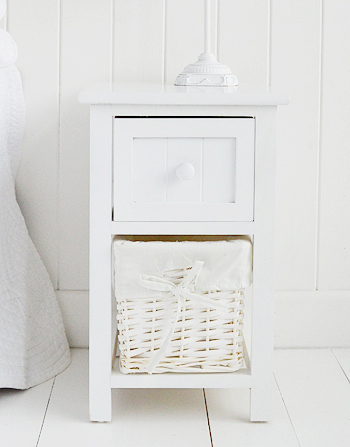 A narrow bedside table with two lined basket drawers and a wooden drawer with knob and tongue and groove style frontage.